Increasing your productivity is a goal that many busy professionals, parents, students, and entrepreneurs share. Finding enough hours in the day to accomplish all of your tasks or goals can be difficult. Sometimes the day has slipped away and you have accomplished little, and you don’t know why. It is also frustrating when you know that part of the reason you cannot get everything done is because you are not organized enough or because you cannot manage your time well. Invest some time in one or more of these courses to help increase your productivity. Everyone’s mornings can be crazy, but they don’t have to be. Having a less stressful morning can make you more productive throughout the day. Waking up earlier to focus on things that you really enjoy can also help your personal growth and overall mental health. Creating the perfect morning routine can give you the tools to get started on the right foot every morning. Your “self-talk” has a lot of influence on your daily life. If you train yourself with methods to improve your everyday thinking, then you can increase your productivity. 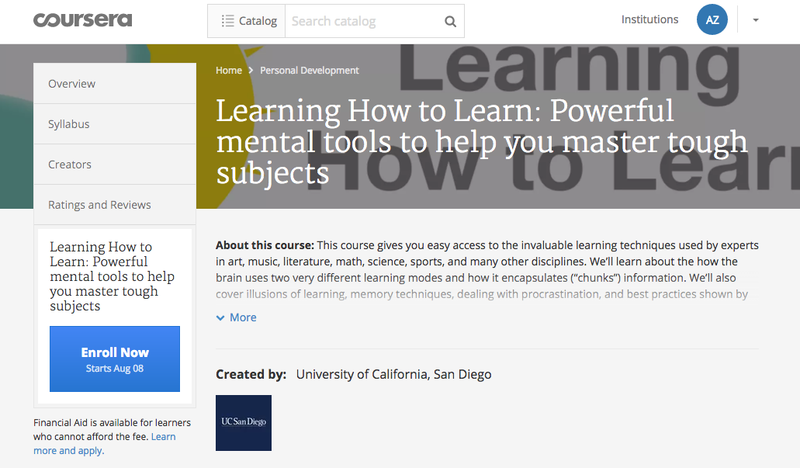 This edX course will also cover tricks and techniques to help you retain information longer. It also goes through the basic psychology of changing people’s minds and recognizing reality from falsehoods. All of these can be great tools for increase overall productivity. Having a productivity system that works for you is perhaps your best tool to increase productivity. Once you have a system, you can spend less time organizing and planning and more time doing. Your system can also reduce your overall stress levels and those feelings over being overworked as well. 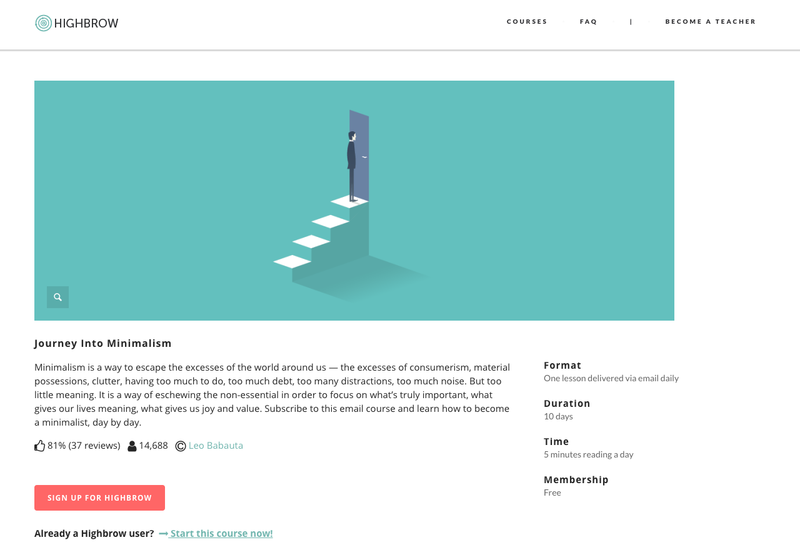 Highbrow’s course is tailored to those who do not have much free time — each portion of the course is delivered in small chunks directly to your e-mail. Minimalism is a way to escape the excesses of the world around us — the excesses of consumerism, material possessions, clutter, having too much to do, too much debt, too many distractions, too much noise. But too little meaning. It is a way of eschewing the non-essential in order to focus on what’s truly important, what gives our lives meaning, what gives us joy and value. Subscribe to this email course and learn how to become a minimalist, day by day. Prioritization is a huge challenge for busy individuals. With so many things demanding your attention, it can be difficult to decide which tasks should be tackled first and which one can sit on the backburner. In this Highbrow class, a fun emoji helps you learn strategies to help you prioritize faster and smarter, so you can save valuable time. Learning information faster can help you be more productive. Memory techniques, illusions of learning, and learning best practices are all covered in this course. It even provides techniques to deal with procrastination. This course from Coursera offers practical techniques that you can use at work, school, or anywhere where you need to learn a new subject or task. Your mental alertness and focus are affected by your activity level throughout the day. Sitting in one spot too long saps energy and creativity, and can have a negative effect on your overall mood. Once you learn how to sit less and be more active, you will have more energy to be your most productive self throughout the day. 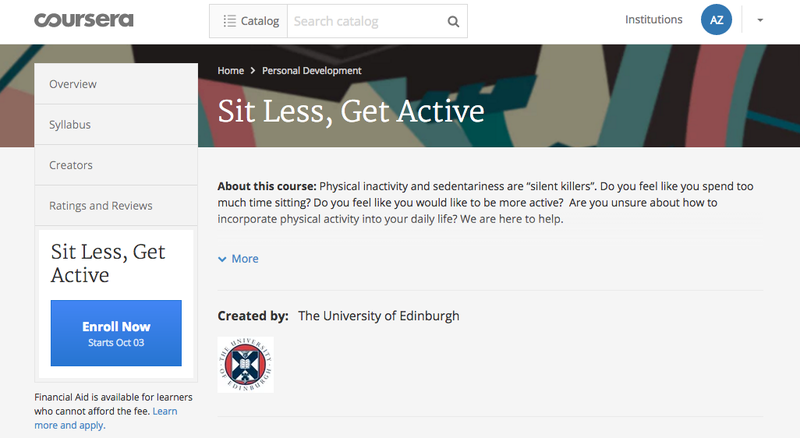 This course helps you monitor your current movement and set healthy goals for yourself. At the end of the day, do you ever sit and wonder what you did all day? You were working, but it seemed like you didn’t get anything done. Perhaps you need to focus more on time management to increase your productivity. 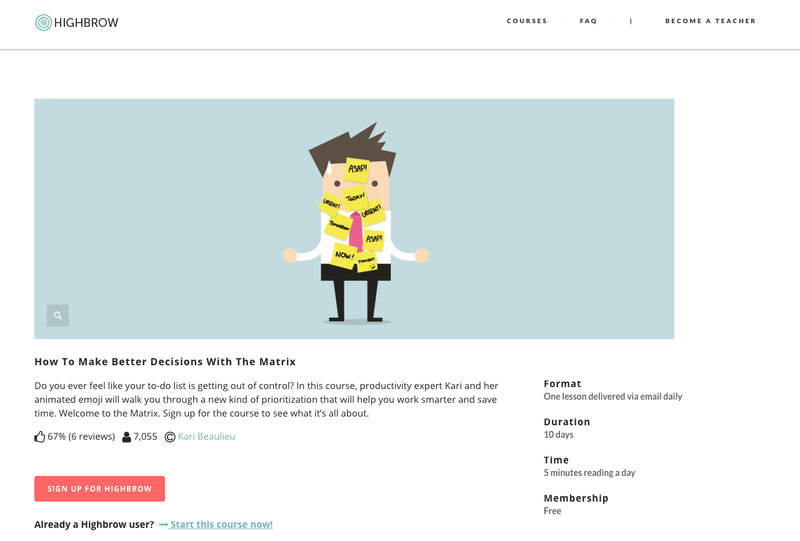 This online course focuses on prioritization, distractions, interruptions, and working efficiently. 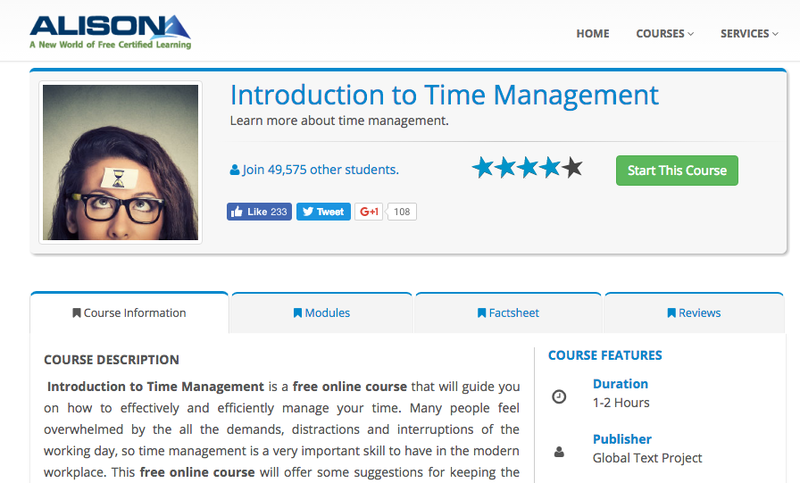 Time management is especially difficult for small business owners and entrepreneurs. Perhaps that is why there is a course specifically tailored to this audience. Instead of managing time, this Udemy course is focused on deciding which tasks are “high value” tasks, so you get more of a return for the time that you have invested. This Udemy course focuses on goal setting as a means to be more productive. Having your own goals helps keep you attentive and motivated to get more done in the limited time that you have. It also helps you learn to evaluate yourself when compared to the goals that you have set for yourself. 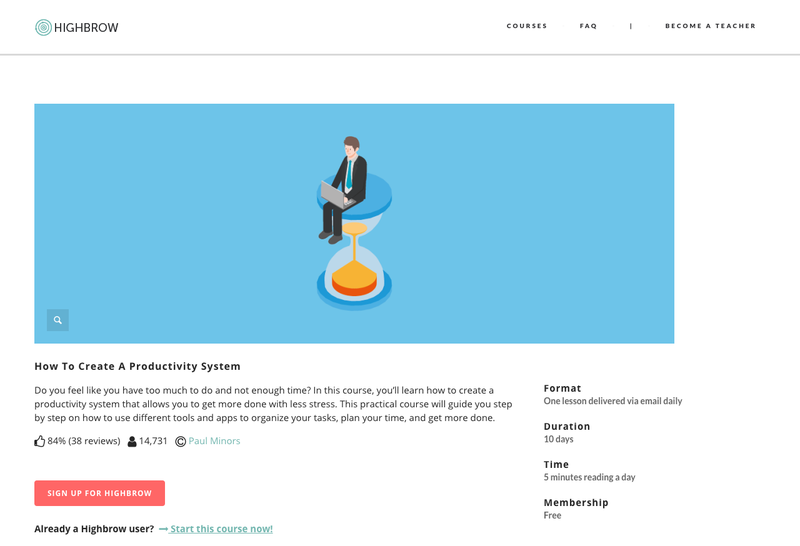 This course may also be helpful for those who want to teach others about the importance of goal setting and productivity. Co-founder at Highbrow. Blog about edtech, self development, startups, growth, marketing, product development.